Ireland leads the world in its effort to become the first nation on Earth that completely stops funding fossil fuels. A divestment bill recently passed by a vote of 90 to 53 in the Irish Parliament. 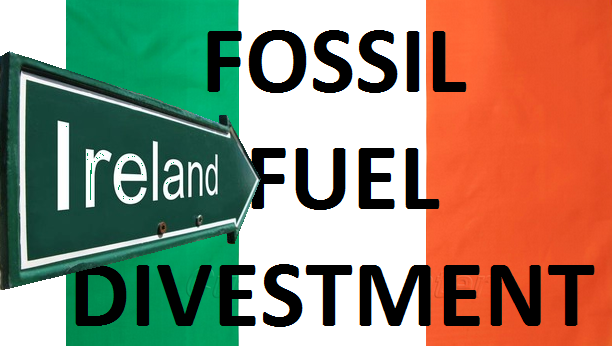 It will end public funding of fossil fuels like coal, oil, and gas from the €8 billion (US$8.6 billion) Ireland Strategic Investment Fund, part of the Republic’s National Treasury Management Agency. Ireland is a global sustainability leader and has been for some time. On the first anniversary of Hurricane Sandy in 2013, Democracy Now interviewed Mary Robinson, former Irish president and U.N. high commissioner for human rights. She now heads the Mary Robinson Foundation--Climate Justice, where her efforts include campaigning for the divestment from fossil fuels. "We can no longer invest in companies that are part of the problem of the climate shocks we're suffering from," Robinson says. "To me it's a little bit like the energy behind the anti-apartheid movement when I was a student. We were involved because we saw the injustice of it. There's an injustice in continuing to invest in fossil fuel companies that are part of the problem." "This principle of ethical financing is a symbol to these global corporations that their continual manipulation of climate science, denial of the existence of climate change, and their controversial lobbying practices of politicians around the world is no longer tolerated," Deputy Thomas Pringle, who introduced the bill, told the media. Pringle also mentioned the disproportional impact climate change has on the world's most vulnerable people. "We cannot accept their actions while millions of poor people in underdeveloped nations bear the brunt of climate change forces as they experience famine, mass emigration, and civil unrest as a result." In the Irish parliament Green Party leader Eamon Ryan shared his support for the Divestment Bill, he further stated that the bill is an appropriate answer to Trump and Tillerson. Catholic groups applauded the news. "The Irish political system is now finally acknowledging what the overwhelming majority of people already know: that to have a fighting chance to combat catastrophic climate change, we must phase out fossil fuels and stop the growth of the industry that is driving this crisis," Éamonn Meehan, executive director of the Catholic poverty charity Trócaire, told the Belfast Telegraph. Other countries have made steps in this direction, but none have gone as far as Ireland. In 2015, Norway announced that it was divesting €7.4 billion (US$8 billion) from coal in their sovereign wealth fund. The Irish divestment bill is currently being reviewed by the financial committee and is expected to become law in the coming months.